Educate your users with onsite training on how to get the most out of your SharePoint or BPMS. Choose the training program from the list or suggest your own desired scenario. 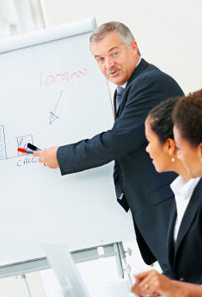 The training programs are typically designed for 1 business day and can be ordered in any sequence or combination. SharePoint Denver Consulting Services is typically serving but not limited to Denver, Colorado area. We are holding our classes at the classrooms in Denver, Aurora or DTC and also offer classes onsite. You are very welcome to Contact Us today to learn more about the training offers available and how we can accommodate your individual needs.